At Oslandia, we have been working on a component based on the QGIS API for the visualization of well and borehole logs. 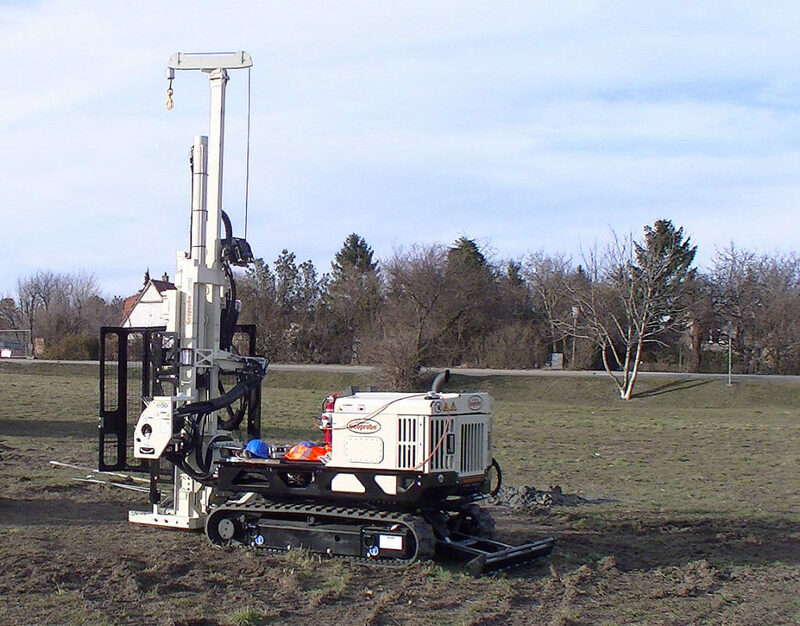 This component is aiming at displaying data collected vertically along wells dug underground. It mainly focuses on data organized in series of contiguous samples, and is generic enough to be used for both vertical (where the Y axis corresponds to a depth underground) and horizontal data (where the X axis corresponds to time for example). One of the main concerns was to ensure good display performances with an important volume of sample points (usually hundred of thousands sample points). We have already been working on plot components in the past, but for specific QGIS plugins (both for timeseries and stratigraphic logs) and thought we will put these past experiences to good use by creating a more generic library. We decided to represent sample points as geometry features in order to be able to reuse the rich symbology engine of QGIS. This allows users to represent their data whatever they like without having to rewrite an entire symbology engine. We also benefit from all the performance optimizations that have been added and polished over the years (on-the-fly geometry simplification for example). Albeit written in Python, we achieved good display performances. The key trick was to avoid copy of data between the sample points read by QGIS and the Python graphing component. It is achieved thanks to the fact that the PyQGIS API has some functions that respect the buffer protocol. You can have a look at the following video to see this component integrated in an existing plugin. It is distributed as usual under an open source license and the code repository can be found on GitHub. Do not hesitate to contact us ( infos@oslandia.com ) if you are interested in any enhancements around this component. I work as an exploration/mine geologist, is there any chance you could make your plug-in so it could handle angled holes? i.e. drilled on a specific azimuth and dip? this type of capability would have a large following, mapinfo can do it and produce x-sections but toooo expensive for small contractors/consultants like myself. Thank you for your interest. This is indeed something that would have a large following. We should be working soon on improvements in a coming round of development. Unfortunately, this feature is not yet part of the target but could be included in a next round if enough people are ready to fund it.